Thank you Olivier for accepting our rendezvous. May I ask you to introduce yourself by sharing a little bit of background about yourself and what brought you into vaping advocacy? Olivier Théraulaz: I live in Geneva and I have been a nicotine user for 27 years. Like the vast majority of nicotine users, I used combustible tobacco products to consume nicotine during most of these years. Smoking cigarettes became a habit when I was in the army at the age of 20. Then I enjoyed smoking and nicotine for several years. Of course, I knew that it was bad for my (future) health but I did not want to quit. I never tried to quit. Around the age of 35 the idea that I should quit smoking became stronger, but between an idea and a real action to cut off a pleasurable activity, the gap was huge. The first time I heard about vaping was around 2010. I was seduced by the idea of a cleaner but still pleasurable nicotine consumption mode. But the information I had at the time was that vaping was unlawful in Switzerland. To me, it was easier to continue to legally buy cigarettes than to start an illegal activity (again). The information was wrong, but I did not know. There was very little information about vaping in the country at that time and I did not search by myself the right information. By chance, I came across the right information 3 years later: a Friday of October 2013. A very small newspaper article explained that it was legal to import vaping products with nicotine for your own use. On Saturday, I ordered online a basic beginner kit (EGO) and some liquids with nicotine. I spent most of the week-end on the internet, learning all I could find about vaping. I discovered forums, blogs and video reviews made by passionate vaping users. I discovered a very active global community. On Monday, I was dreaming of rebuildable atomizers and variable voltage mods, even if I did not even try vaping at this stage; I was still waiting for my first online order. I decided to go in a specialized shop in France near Geneva, hoping to find the devices I wanted. Unfortunately they sold only beginner kits (EVOD). I bought one, a little bit better atomizer (Protank I) and of course a lot of liquids with nicotine. I officially started to vape and I immediately reduced my cigarette consumption. The same day, I ordered online two rebuildable atomizers (Magoo & Russian) and two mods, one electronically controlled and a mechanical one. On Wednesday I finally received the “big” devices which I started to use immediately. I had viewed all possible reviews about these devices and I knew how to use them. Running out of cigarettes, I went out to buy some and for the first time since very long time, I did not buy a carton of cigarettes packs but only two packs. At this stage, I reduced my cigarette consumption from more than one pack a day to 3 cigarettes a day. On Thursday, I smoked one cigarette in the morning with my coffee and one in the evening before going to sleep. And that Thursday evening of October 2013, while I was smoking this cigarette, I felt that it was not really pleasant anymore. The taste was awful (compared with the taste of vaping). 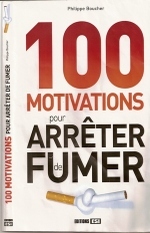 For the first time I thought “I could stop smoking.” It was not just an idea but it appeared like something really possible. I decided not to smoke a cigarette the next morning with my coffee but to vape instead, to try. There was no pressure in this small decision. I did not decide to never smoke again, just to try vaping with my coffee on Friday morning. And it worked, I still have the last two pack of cigarettes I bought, two cigarettes are missing, the two last I smoked that Thursday. I could have smoked a cigarette again whenever I wanted but I was not interested anymore. I was not craving for the nicotine nor craving for the gesture or feeling, thanks to vaping. I enjoyed vaping even more than I enjoyed smoking before. The large diversity of devices, the availability of nicotine and the liquids’ tastes were key elements in my easy smoking cessation without any relapse. Astonished by my experience of becoming a non-smoker in less than one week without really deciding it, I wanted that all smokers know that vaping can help them. I wanted them to know that vaping is a more pleasurable and safer way to use nicotine than combustible tobacco products. I wondered why my country did not support vaping. I wanted to do something to push for a change. I was not alone, in the beginning of November 2013 a group of vapers created Helvetic Vape, the Swiss non-profit association of vapers funded by the membership fees. I was an early member and I actively joined the first board in December. I became the president of the association in November 2014 after the retirement of our first president, Alain Vaucher. The early days of the association were difficult, we had to learn everything the hard way, by ourselves, a try-error process. But the energy was great, we were passionate volunteers who wanted to change the world and save lives through advocacy for harm reduction. Q1. I am very impressed by the site of Helvetic Vape with the news in 3 different languages (although not English, sorry English readers) and a lot of interesting info for someone like me who is a very beginner in the world of vaping. What is the present situation/status of vaping in Switzerland? What are the priorities for Helvetic Vape? Olivier Théraulaz: Thank you. As you know Switzerland is a small country with 4 official languages, so to exist at the national level an association has to express itself in different languages. But translating everything in 3 languages represents of course a lot of work (made entirely by volunteers as all the work done in our association), this is why our website is not translated in English yet. But we are considering this option. In Switzerland, vaping products are currently regulated through the Federal Act on Foodstuffs and Utility Articles. This law offers a great level of consumers protection. But it is a de facto regulation, there is no specific articles about vaping products in that law. About 9 years ago, the federal administration issued an interpretation of the legislation to prohibit the sale of vaping products with nicotine on Swiss territory without any solid scientific or legal evidence. However, end users are allowed to import 150ml of vaping liquid containing nicotine by period of 60 days for their own use (without any limitation on nicotine level). For nicotine users, it is therefore easier to buy cigarettes than vaping products with nicotine that are at least 95% safer. The administrative decision, entered into force in 2015 to straighten the precedent interpretation, is still waiting a judgement from the Federal Administrative Court (FAC) after several appeals were filed. As with any incoherent regulations, people in Switzerland were creative to find ways to escape the prohibition. Nowadays, specialized shops sell vaping liquid without nicotine but they add nicotine free of charge after the sale if the customer requests it. These “nicotine gifts” in the grey zone are important because they simplify smokers’ access to a harm minimization tool. Due to the nicotine prohibition and anti-vaping campaigns, the number of vapers in Switzerland is low compared to neighboring countries but, thanks to a kind of civil disobedience bringing easier access to nicotine liquids, it has started to change. Now, the federal government wants to regulate vaping products through a new tobacco law project. There is no tobacco law yet in Switzerland. Tobacco products are still regulated through the Foodstuffs and Utility Articles Act which was modified in 2013 to exclude tobacco products from its scope. Only tobacco products are excluded but the government decided that it applies to vaping products too. In the draft, tobacco law project presented the sale of liquids with nicotine would be allowed but as a counterpart, vaping products would be assimilated to tobacco products and their use banned in public places. Currently it is the responsibility of the owner of the place to decide if vaping is allowed or not. It has worked well for more than 10 years but the government wants to end it. As you can imagine, Helvetic Vape has many priorities, but the main one is, of course, the legalization of nicotine containing vaping products. But not at any costs. The government tries to use the legalization as a carrot to straighten the regulation, close to what apply to combustible tobacco products, based on outdated dogma/fears and without any vision for the future. We want a coherent, science based and harm minimization centered regulation. Despite Switzerland being a pioneer in harm reduction strategies for illegal drugs, in terms of nicotine we are way behind many countries. Swiss regulators seem to forget that the use of combustion to consume nicotine concerns at least 2 millions people (~25% of the population) and leads to around 9,500 premature deaths every year in our country, much much more than illegal drugs use (around 100). Q2. You are also part of INNCO. How was this international group born and how do you see its future? Olivier Théraulaz: The idea of an international network linking national organizations is not new. The first experience was the European Vapers United Network (EVUN). It was a useful informal collaborative platform for advocates from European vapers organizations but it never reached the point of being a real organization. The need for a more formal collaboration between national organizations was still there and discussions started in 2015 at the Global Forum on Nicotine (GFN) during a consumers’ conference. The next year at the GFN 2016, a vote of the audience at the consumers’ conference was the birth of the International Network of Nicotine Consumer Organizations (INNCO). It became a non-profit organization based on a constitution under the Swiss law in November 2017. INNCO now has 31 non-profit member organizations in 27 countries around the world. The aim of INNCO is to reduce the harm posed by combustible tobacco by supporting and promoting the right of the population to reduce their health risk by choosing significantly safer forms of nicotine use. To achieve that, we want to defend and promote the right for low risk nicotine consumer organizations, individual advocates and ourselves to be recognized as legitimate stakeholders. Nothing about us without us! We want to work cooperatively with civil society organizations to further global efforts towards the adoption of rights based, risk relative and balanced harm reduction strategies. We want to promote a global framework which acknowledges the public health benefits of low risk forms of nicotine use based on evidence-based science. And we want to shape public guidance and advice on the comparative risks of safer alternative nicotine use to ensure this is aligned with the principles of harm reduction. INNCO is run by a bunch of volunteers from different member organizations. In the future we want to be able to professionalize the organization, but it will depend of our ability to raise funds. We cannot get funded by traditional tobacco control sources of funding because they still see us as the enemy. Simply because we challenge some part of their strategies, like the “Quit of Die” dogma, by trying to bring users life-saving harm minimization into tobacco control thinking. So, we will have to be creative and to find alternate sources of funding. The situation of vaping preoccupies us in many parts of the world. For example in Asia, some countries passed or are passing extremely tough anti-vaping laws without any consultation of the primary stakeholders: the nicotine users. In some countries, combustible tobacco products can be sold and used but vaping products are as illegal as illegal drugs. It means an interdiction of importation, sale, possession and use. The enforcement of these laws tends to be strict and vapers who simply try to stop smoking, are treated as criminals while these countries have very high smoking prevalences. It is totally crazy. Q3. A main concern that people have about vaping is that it could be very addictive for young users and nicotine could harm their brain. There is also the claim that it would constitute a gateway to smoking combustibles. What's your opinion/experience on those issues? Olivier Théraulaz: No nicotine consumption at all is better, but it is hard to achieve because many vegetables (solanaceae family), like potatoes, tomatoes, peppers or eggplants, contain nicotine. Some studies show that high-dose chronic nicotine exposure can “harm” the brain of adolescent rats. After withdrawal, it can induce rats mood-related disorders, increase vulnerability of rats to drugs use and enhances rats sexual arousal. In humans, there is not enough conclusive data. The addictivity of nicotine is linked with the administration mode. Cigarettes are a very addictive way to use nicotine, they have been engineered to provide a high shoot of nicotine in a short time. The reasons for the high addictiveness of cigarettes are still not well known yet. 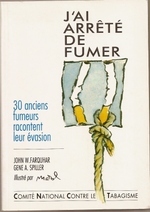 But the combustion of sugars contained in the tobacco or added by the industry may play a role through the MAOIs created in the process, the ammonia added by the industry to the tobacco lowers the PH of the smoke and creates more bio available nicotine, tobacco alkaloids (other than nicotine) and nitrosamines may also play a role as hundreds of chemical substances added to the tobacco by the industry. Nicotine alone (without tobacco, combustion and additives) is not as addictive. The real enemy is not the nicotine but the combustion. The great advantages of vaping are that it is not based on combustion and it can be used with or without nicotine. Some data even suggest that vaping may protect adolescents from an entry into combustible tobacco use but more research is needed. The gateway effect is a theory that has never been proved for any substances. But on paper, it looks nice and since decades it allows great fear mongering news titles like: If you smoke marijuana one day, you will inject heroin the next day. A very useful tool for any puritan prohibitionist. It has been widely used in the war on drugs and it is now used in the war on nicotine. Of course, the fact that the gateway effect has never been proved does not mean that it does not exist. The real questions are: At what scale is it measurable? Is it a statistically significative scale? Does it represent a threat to public health? All the current data show that there is no large gateway effect from vaping to smoking. There is an augmentation of adolescent use of vaping (experimentation or regular use) but at the same time the number of adolescents smoking continues to decrease and even to accelerate. These tendencies must be closely monitored but as long as the smoking prevalence in adolescents continues to drop at the same pace, it means that there is no statistically significative gateway effect and therefore no serious threat to public health. Protecting young people is a real concern and most countries’ legislations include specific regulations to try to achieve this aim in many fields. It usually works quite well with children, but things become harder with teenagers. Basically, society tries to protect teenagers from the adult world when they try to understand how to become an independent adult through experimentations and group socialization. Most of the time the “protection” is made of simplistic moral interdictions without any place for risk and harm minimization messages. Unfortunately, the “conflict” between risk and harm minimization and educating young people is always something like: If we tell the truth to young people, could it drive them into “immoral” comportments? With condoms during the HIV epidemic it was: if we tell young people to use condoms will they start having sexual activities? Now we have: if we tell young people that vaping is at least 95% safer than smoking, will young non-smokers start vaping (and worse start smoking)? But young people do not wait for risk and harm minimization messages to start doing things, even the worst things. The issue is that without truthful information about the risks and how to better avoid them, the consequences of young people experimentations may be much more harmful. Telling the truth is always the best thing to do to educate young people, whatever the domain. Trying to scare them with wrong messages is most probably the worst thing to do. It should also be accepted that, yes, some young people will be influenced by these messages. Most probably, some young people start to have a sexual activity due to condoms’ campaigns in the medias or schools but the benefit for public health of having young people protected (even if a condom is not 100% safe) is so great that the “moral risk” is accepted. Q4. The internet seems to have played a significant part if the development of e-cigs vaping, helping spread information, promoting changes in products, etc. Can you tell us a bit about the history of vaping and the net's influence? Olivier Théraulaz: Creating a product safer than combustible tobacco to inhale nicotine is not a new idea. Since 1930, several patents have been filled, several prototypes have been created and some products even reached the market in the eighties. But all these attempts suffered the same problems, the technology was not mature (specially the battery technology) and the public was not ready and not informed. The development of nicotine patches and gums was based on the same idea: a cleaner source of nicotine for the users. Unfortunately, under the strong pressure of tobacco control, these products fell in the pharmaceutical industry’s backyard and became expensive “medications” which reduced their potential by suppressing their use as alternative nicotine consumption modes. Modern vaping devices were invented by a Chinese pharmacist, Hon Lik, around 2003-2004. His product was almost immediately copied by other Chinese manufacturers. These products were exported around the world and smokers started to use them. Users also started to discuss these products on internet, through forums and social networks. How to best use the product? Can I really stop smoking with that? How safe is it? What is the liquid made of? How it works? How can I modify it to satisfy my needs? It was the very first generation of vaping products, there were some issues and users started to modify these products to improve them. As soon as a new product was on the market, it was fully reviewed and many times hacked by users for better performances. Some Chinese manufacturers were aware of the modifications made by the users and based the improvement of their own products on that. A kind of open standardization emerged spontaneously allowing to connect devices (atomizers and mods) from different manufacturers. Some users started their own business, either manufacturing vaping devices or vaping liquids in small batches sold to the community through internet. Some started to sell vaping products through online from physical shops. Some started to teach beginners. Some started to advocate for vaping. For several years, the innovation, distribution, diffusion and education were mainly driven by the users and the mass production mainly by the Chinese industry in a unprecedented virtuous loop bringing almost every month new and better products, and everyday new smoking cessations. Some Chinese manufacturers specialized in cheap copies of expensive high-end devices but some took the business seriously by creating their own line of quality products and they are still bringing new vaping devices on the market today. Most vaping business products around the world (small and big players) are still run by vapers outside of China. The information on internet, mostly maintained by users, is still the primary source of information about vaping. This is a very short abstract of what happened, the complete story is more complex but we can say that the success of vaping is based on the unique convergence of the maturation (development) of batteries’ technology, the maturation of global information technologies, the maturation of users’ perception of the risks of combustible tobacco products and the power of the Chinese industry. One interesting point is that the entire process occurred without the tobacco industry. At first, they did not believe in vaping as being a possible threat for them. It was a Chinese gadget with no mainstream future. They did not anticipate the key role of the users and internet. When they realized that the innovation and adoption pace was very high, they started to be afraid. They did not want to reiterate the Eastman-Kodak experience, a century-old leading global company who missed the revolution of digital photography, an error that brought them into bankruptcy. The tobacco industry entered late in the vaping market, around 2011-2012, by buying a small number of existing vaping products brands. The immediate consequence was the strengthening of the global fight against vaping by tobacco control and public health. This move, in fact, protected the tobacco industry by slowing the vaping revolution and allowing more time to the industry to refine its market strategies and to develop new concurrent products, like heat-not-burn products. Q5. What are the main challenges you see ahead? Is there a risk that the huge diversity that exists today be crushed by regulations and big tobacco will emerge as the dominant, exclusive player? Olivier Théraulaz: Of course there is a risk of a reduction in the diversity of easily available vaping devices and liquids. It would be detrimental to nicotine users because a large choice of products means large chances to find the right combination of products that will efficiently help a smoker to stop smoking. All smokers are different, one vaping product can not fit all. Some need very simple systems, some want fully controllable systems, some like high-end products, some want cheap products, some want powerful systems, some do not care about power, some like aerial systems, some prefer closed airflow, some want a long battery autonomy, some want lightweight systems, some like colors, others do not, etc… And when it comes to liquids tastes and nicotine levels, the needed diversity to fulfill the expectancies of all profiles is huge. The threats to the diversity come from the vaping market itself, which is still not a totally mature market, and, of course, the regulations that frame the market. Some big players could try to crush smaller players through lobbying in favor of over-heavy regulations, through aggressive acquisitions campaigns, through a costly standardization process or through groundbreaking patent protected innovations. But nicotine users are legitimate stakeholders in this game and their collective voices and actions have the power to change the rules. Nobody, not even the tobacco industry, was able to predict 15 years ago, the vaping revolution that was started, shaped, supported, broadcasted and advocated by nicotine users against the well established markets of tobacco products and pharmaceutical nicotine products. In the case of vaping, a coherent, proportionate and compassionate light regulation based on a global well defined harm minimization strategy is needed. Worldwide nicotine users should work together to inform the regulators about their needs, expectations and hopes. They should ensure to be heard by regulators, they should try again and again, even if they are sometimes discouraged by the hypocrisy of some actors. Legitimate citizen actions are never in vain. It is important to understand that, at this stage, the vaping revolution cannot die. There are millions of vapers around the world. Vaping may become underground in some countries because of the pressure of stupid heavy regulations, but it will never disappear. It is basically a very simple technology after all. Anyone can buy, in any hardware store, all components needed to assemble, with some creativity, a basic vaping device. Main ingredients of vaping liquids are easy to buy and mix. And if nicotine is not available anymore on the regular market, the black market will provide it, as with any other psychoactive substances. Of course, these kinds of DIY devices and liquids with black market nicotine would be more risky than the well manufactured products we have now, but it will still be much less dangerous than smoking. Of course, not so many smokers will be willing enough to go through a full DIY/black market process to stop smoking with vaping. But some will do it anyway and they will teach other smokers. The main challenge is still the same: saving lives. Q6. I noticed you never use the term 'e-cigarette'. Why? Olivier Théraulaz: What is an "electronic cigarette"? The definition of a cigarette is pretty clear: “A small paper tube filled with cut pieces of tobacco that people smoke“ - Cambridge dictionary, “A thin cylinder of finely cut tobacco rolled in paper for smoking“ - Oxford dictionary. Is an "electronic cigarette" a small paper cylinder filled with cut tobacco and some electronic that people are smoking? No, this definition cannot at all be applied to vaping products that contain no paper, contain no cut tobacco and produce no smoke because there is no combustion. Vaping products are a totally different concept than combustible cigarettes. It could be seen as a non-important rhetoric issue but, by deterring the conceptualization of vaping products as something different than dangerous combustible cigarettes, the confusing wording you cite perpetuate fears and misinformation, inhibit pragmatic reflection and, in a way, promote the combustible tobacco products market. Q7. Is there anything else you would like to add? Olivier Théraulaz: One billion nicotine users will die prematurely worldwide during this century because the most used and easily available nicotine consumption mode are combustible cigarettes. It is unacceptable and we need to be creative to find solutions. Not one unilateral solution based on dreams, fears and stigmatization but concrete, compassionate and pragmatic solutions including all actors and most of all, nicotine users, who are the key for a global change. Nothing about us without us! Thank you Olivier, for having taken the time to be with us today.